Clinical trials of the world’s first malaria vaccine are scheduled to begin next year in three African countries – Kenya, Ghana and Malawi – but a number of questions remain regarding the vaccine’s efficacy and whether or not the program is actually part of a globalist-funded depopulation campaign. 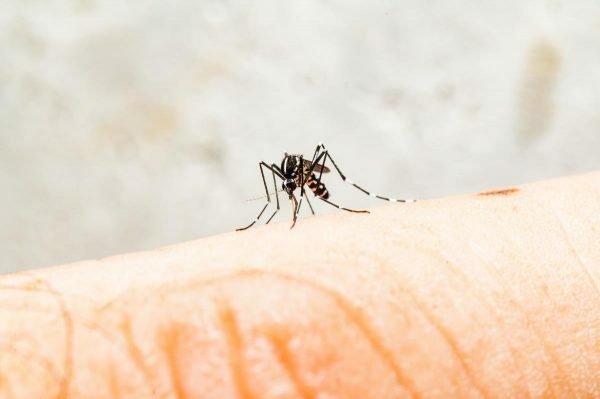 Despite decades of fighting the disease through a variety of methods, malaria still claims nearly half a million victims per year – 92 percent of them in Africa. Most of the deaths occur among children. That’s why many people, including Matshidiso Moeti, WHO regional director for Africa, have heralded the prospect of a malaria vaccine as “great news.” But upon closer inspection, the scheme doesn’t appear to be all that great after all. The malaria vaccine – called RTS,S – was developed through a partnership between PATH and GlaxoSmithKline, with funding provided by (surprise!) the Bill and Melinda Gates Foundation. Even in strictly-controlled laboratory trials, the vaccine has proven far less effective than hoped, and administering it effectively in Africa to hundreds of thousands of children – even on a limited clinical trial basis – is likely to prove to be an enormous challenge. First of all, the vaccine requires multiple injections over a series of months. When three doses administered over three months proved to be ineffective in providing long term protection against the disease, a fourth dose was added to the regimen – to be given 18 months after the first three injections. Making sure that the children receive all of the doses within the correct time frame will be difficult enough, but even if that is accomplished, there are still concerns about the vaccine’s effectiveness – and indeed, whether or not it will provide any benefit overall. It is indeed rather surprising that such a program has been given a green light, especially considering that in 2015, the World Health Organization’s expert panel on immunizations refused to recommend use of the vaccine. The fact that vaccine proponents are so eager to rush the trials of a vaccine that has already proven to be less than effective and logistically difficult to administer, certainly provides fuel to those who believe there is another hidden agenda at play. There is a growing body of evidence suggesting that depopulation and eugenics schemes are at least part of the motivation behind global vaccination programs such as this one. At the very least, governments (particularly that of the United States) and global organizations such as the United Nations have experimented with secret depopulation/sterilization programs administered through vaccines. There are documented cases of this having occurred in several African nations, as well as India, Mexico, Nicaragua, the Philippines and elsewhere. No one questions the wealthy elite when they appear to be throwing money into humanitarian efforts, but perhaps it’s time to take a much closer look at the malaria vaccine scheme and try to determine what the ultimate objective truly is.